How Important is Window Protection? HomeBlogUncategorizedHow Important is Window Protection? Windows are fixtures in just about any house. We don’t wonder if a house will have windows! We may think about how many it has or how much natural sunlight a house gets through the windows, but we never wonder if a house will have them or not. Yet, knowing our house has windows and any house that we ever live in throughout our lives will have windows, oftentimes we don’t put a lot of thought into them. In fact, windows are a rather important part of our homes. They let in the sunlight so that we aren’t living in perpetual darkness with an electric bill the size of Mt. Everest from all the lamps we’d need to see! They allow us a little decorating fun by putting up pretty curtains that can add a nice touch to a room. Maybe we should pay them a little more heed. 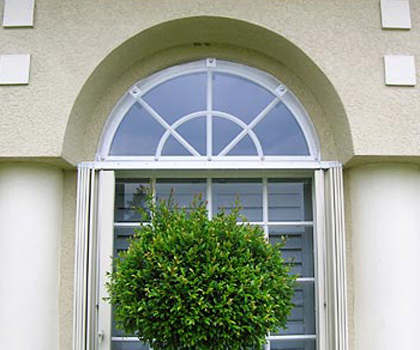 Windows come in a variety of styles and can come single pane or double pane. Double pane windows offer better temperature control within a home and make the home more energy efficient. But, our windows can’t talk. They can’t say, “Hey, Mrs. Smith…so, there’s a hurricane on the way. They are predicting a Cat 3, and I was just wondering if you could get me some shutters to keep me safe?” Wouldn’t that be great if our house’s varying parts and pieces could tell us what they need? What if our roof could give us a five-year warning to let us know we need to start saving up for a new roof? Unfortunately, that’s not how houses work, at least not yet. Maybe someday our houses will be like the one in “The Jetsons,” but it isn’t today. Since your windows can’t tell you what they need, we will have to do it for them. Living on the east coast of Florida, it is true that your windows could really use some protection. There are a lot of options. Shutters can be a great feature to add to your home, like the attractive Bahama shutters or colonial shutters, while also offering your windows protection during storms. 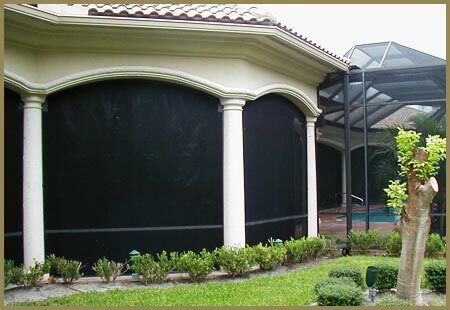 Some are purely for protection like accordion shutters or our Armor Shield screens. You may have never considered hurricane shutters before, but we encourage you to consider them now. They are easy to deploy, most taking forty-five minutes or less which is plenty of time prior to a storm’s arrival. We know when hurricanes are on the way. Our local news stations do a fantastic job of keeping us up to date on a storm’s projected path and time of arrival. Hurricane shutters protect your windows from breakage and protect the inside of your home from sustaining damage due to debris coming through the windows which, in turn, allows the wind and rain to get into your home. 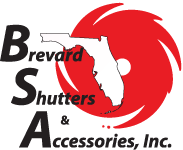 At Brevard Shutter, we take our hurricane shutters very seriously. We know that they are an important element of keeping you and your home safe during serious storms. We would love for you to stop by our showroom to look at all the different types of shutters we have to offer. We serve the Melbourne and Palm Bay area as well as surrounding areas throughout Brevard County. Please give us a call today!